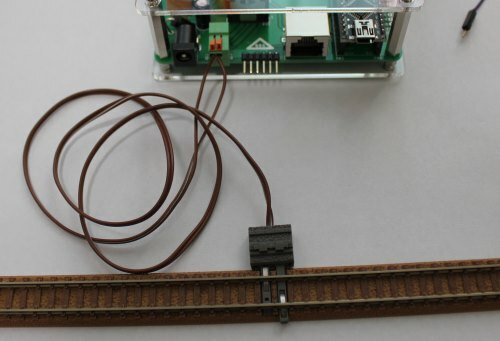 DS main is an digital model train controller. 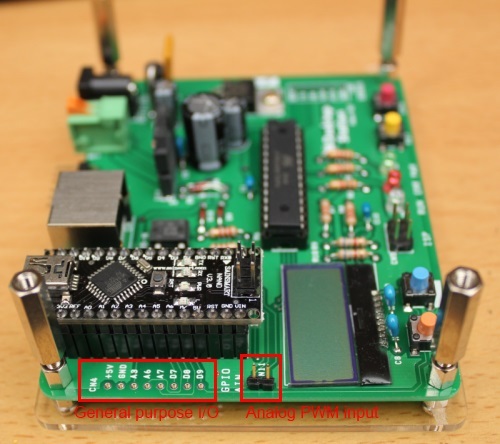 This hardware includes the feature of DCC/MM2 shield and Arduino, S88 shield. Support DCC and marklin motorola 2 format(MM2). Also DCC CV write is available. 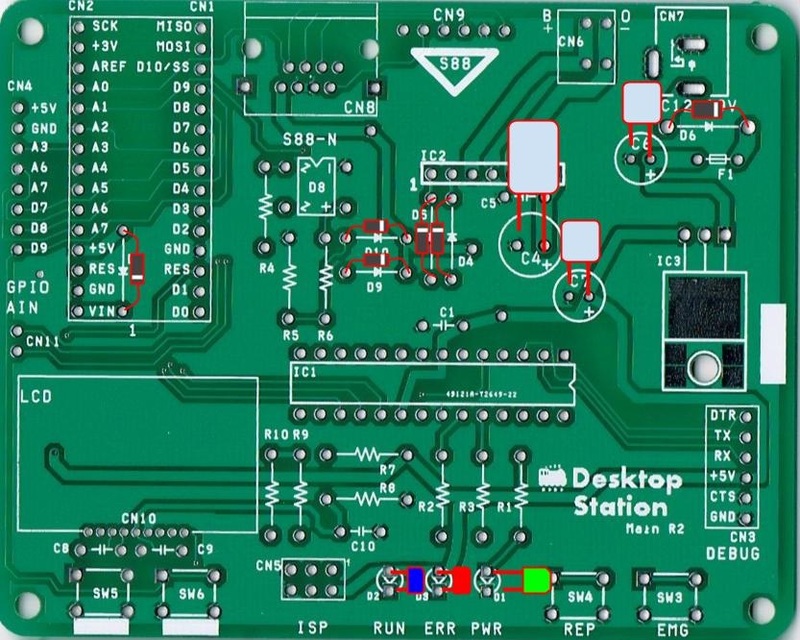 Desktop Station software supports DSmain. 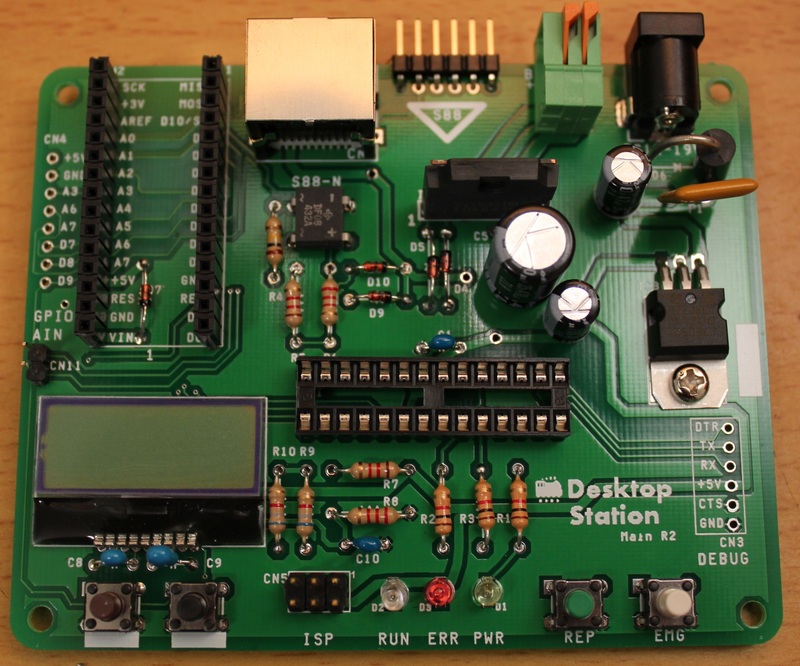 DSmain includes Arduino nano compatible board. You can customize DSmain. 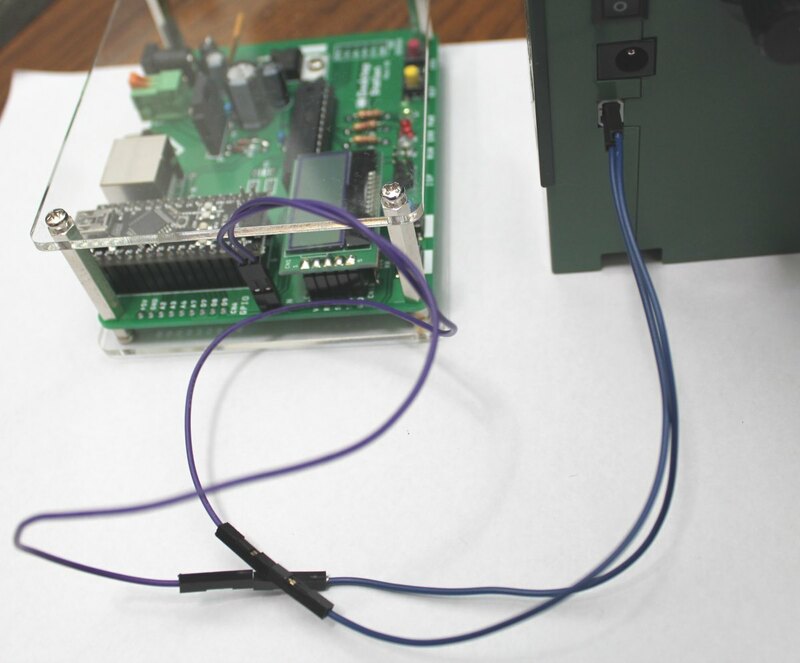 Default output current is 1.5A. Maximum current is 3A if heatsink or cooling fan is setteled. 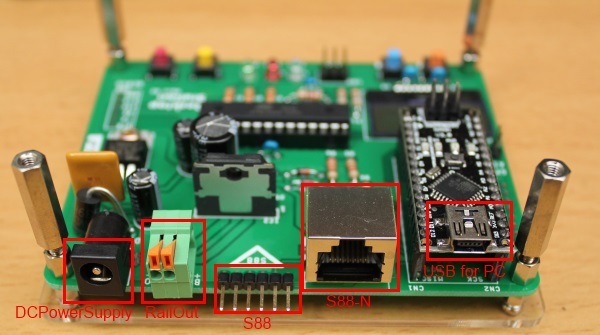 Support S88 decoders which interfaces are S88-N and 6pin. Download CH340G driver software. The download site is Desktop Station's download page. Connect DSmain to PC. You need to select manual driver install. Select browse and type unzipped driver. Install the CH340G driver. DSmain will be recognized by PC. Then you remember the serial port number (COMxx). 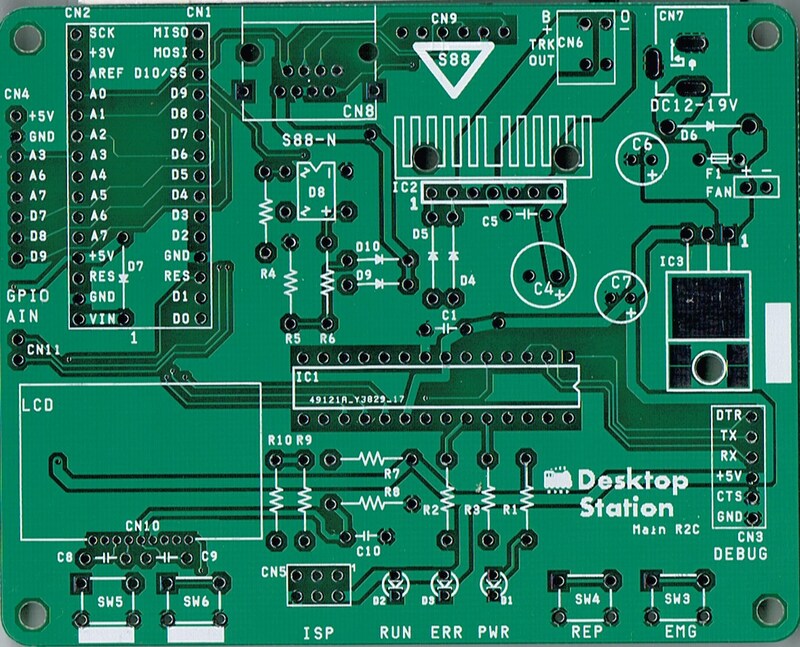 After that, run Desktop Station and open configurarion window and configure serial port number. That's all to prepare the hardware. Click Start and play it! The followings are soldered photos. Please refer. nc means not connected(unused）. Not needed to solder the parts. Please attention the following specification. DC power supply which is center plus and 2.1mm jack. Please check your model railway specs. (Marklin, DCC HO) 12V-16V 2A or more. Akizuki 45WSlim DC power supply15V3A LTE(GFP)451DA-1530. (DCC N, Japanese HO) 12V 1A or more. Akizuki DC power supply 12V2A STD-12020U. The kit requires the soldering experience. 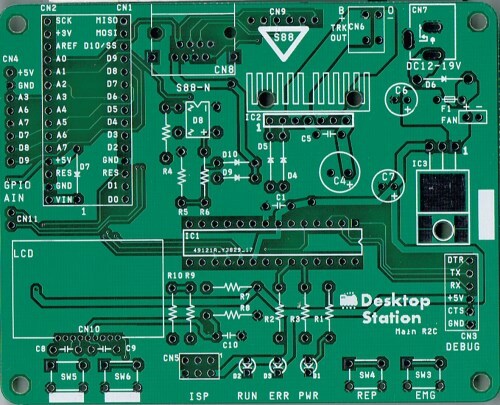 You need to understand PCB's displayments. 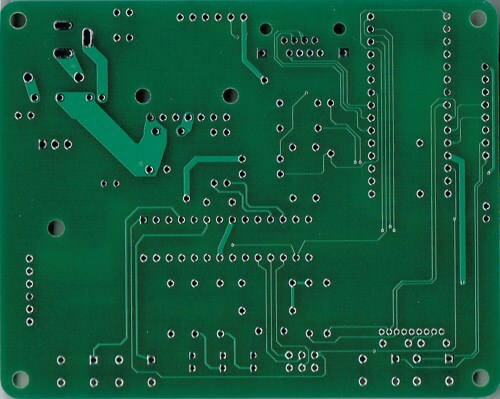 Prepare solder, soldering iron, electric parts, PCB etc. 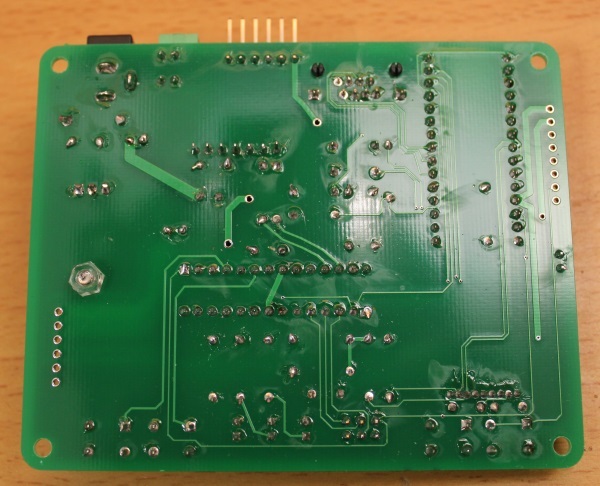 After soldered, check the soldering result. Attention short pins. 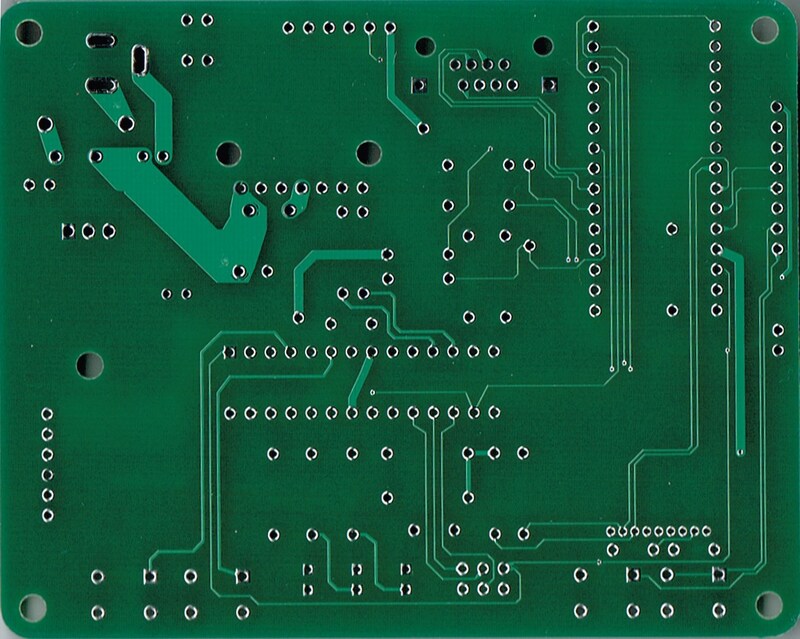 Insert ATMEGA to DIP Socket. Attention the direction and silk pattern. Insert attached Arduino nano(compatible) board and check. Capacitors and diodes and LED has a pole. Attention please. The following photos show assignment of buttons and connectors. After soldered, assemble Arduino nano compatible board and acryl case. DC power supply connects to DC jack on the DSmain. 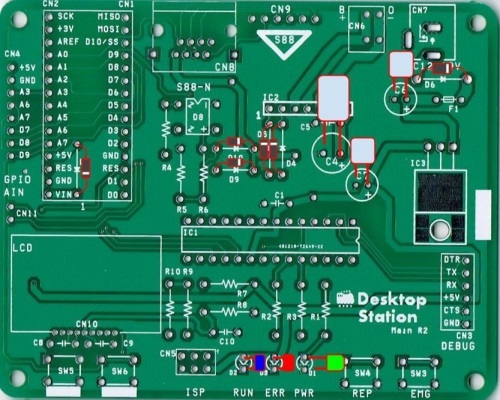 The connection between PC and DSmain uses USB port of Arduino nano. Connect a USB cable. Ctrack has the pole. The center rail beside is B (red color), the others rail beside is O (brown color). 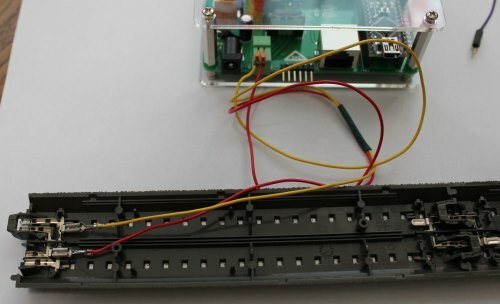 Marklin CTrack (H0 gauge) wiring example. Tomix Fine Track (N gauge) wiring example. 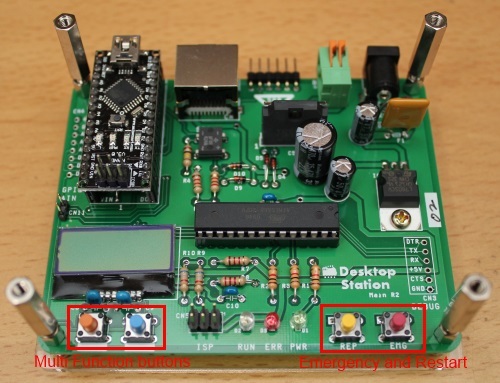 If you have an external analog PWM controller, DSmain can use the external controler. Please connect as the followinng. For example, Japan railway company 101 type cab controller DX is available.